Thank you for the note and the great picture! That was a great day, wasn't it, but then everyday was great. We are back to reality, and it is tough. We had a real problem with jet lag coming back home, and are just now starting to feel normal (whatever that is). We want to thank you so much for giving us such a beautiful France experience. We went not knowing exactly what to expect, and came away with some treasured memories of one of the most beautiful and historical parts of the world. It's hard to say what the highlight was, since each day brought a new and exciting adventure. Personally, I was most intrigued by Omaha beach, as I had no idea what to expect and was blown away by what we saw. Your knowledge of the history of the Normandy area made the whole World War II era come alive for me. Of course, the chateau's, the castles, the ruins, The Bayeux Tapestry, the wonderful French towns, and their delicious food and wine, were all exciting and inspiring. 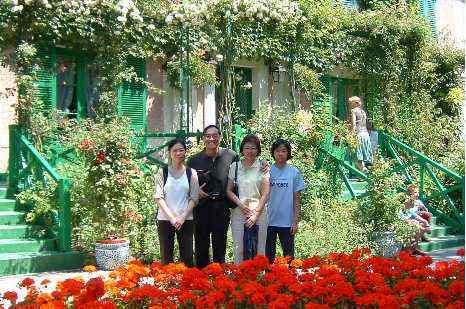 Monet's gardens were awesome, and the trips to the French markets, with the subsequent partaking of the food and drink in the form of a picnic, were a culinary adventure. We can't say enough nice things about the wonderful B&B where we stayed, and the gracious hosts, Diana and Kit. The beauty and the peaceful quaintness of the area made it hard for us to leave. We definitely will go back for another visit one of these days. We were spoiled by the wonderful culinary delights prepared by Diana, and we have the weight gain to prove it! 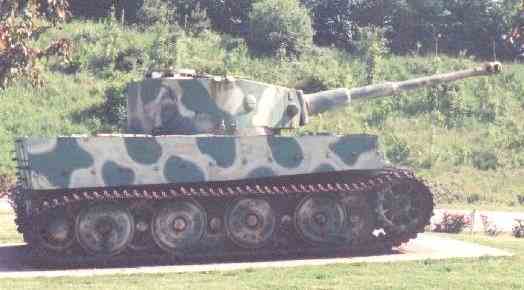 I could go on and on, but will close with this final tribute to you and your wonderful Normandy Safari. It was a real pleasure to meet you Martin, and to get to know you during our five days together. We truly felt like members of your family by the time we had to take our leave. You made our time in France an experience we will never forget, and you instilled in us the desire to visit France again in the future. 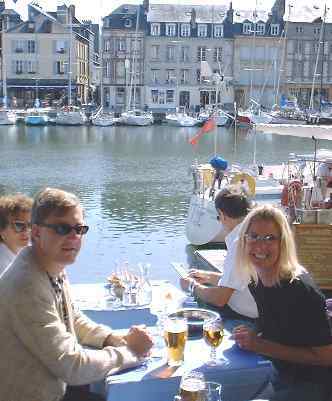 Your master of the French language was most helpful in the little towns and restaurants, and your in-depth knowledge of the places we visited made them come alive for us. Thank you so much for making our visit to the Normandy area of France such a wonderful adventure. 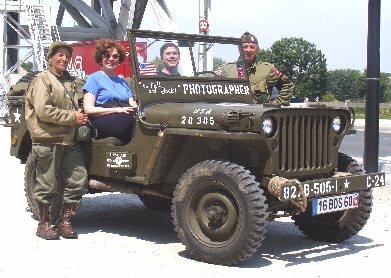 I would recommend this tour to anyone who is looking for an up close and personal experience with the Normandy area of France. 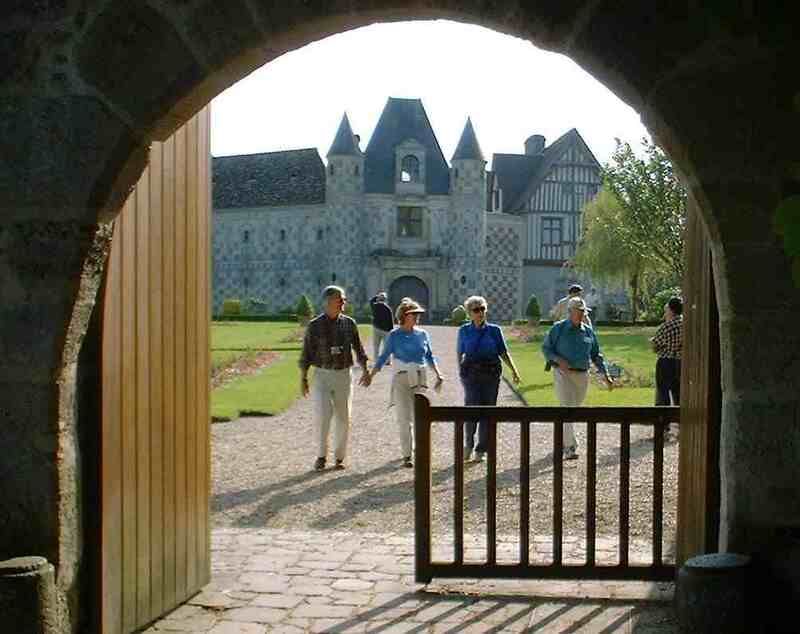 If one wishes to experience France at a relaxed pace, yet packed full of adventure, with insightful and colorful slices of history thrown in, then Normandy Safaris is the tour for them. P.S. Ed is so thrilled with the bullet you gave him. What a treasure! Sorry we took so long to write, but jet lag really put us under. It sure feels good to feel good again!! What an absolutely wonderful time we all had trekking through the wilds of Normandy under your guidance. Everyday was a delight! The adventure, in fact, far surpassed our most optimistic expectations. Your efforts to make this a truly delightful and unique experience were recognized and appreciated. France has acquired a very bad reputation for its hospitality (or lack thereof) towards Non-French speaking visitors and very few Americans speak French or any other language for that matter. The experience you provide solves this problem magnificently. Future clients are in for a grand and fun time. Good luck in your venture Martin, and let's keep in touch. We are back in the U.S. and are slowly recuperating. It's really hard after such a delightful holiday away from the grind. Your Normandy Safari was just perfect. We thoroughly enjoyed being immersed in the rich history of the Normandy area. It was really impossible for us to identify our favorite - the Bayeaux tapestry, the picnics, Giverny, Montormel - they were all highlights. Thanks for the work in putting the Safari together. Your choice of Les Gains for our B&B was great. Diana and Kit were wonderful hosts. The country fragrances and sounds were so restful and relaxing. They just can't be duplicated. And the food was outstanding. I have enclosed a few photos that we took. I will send several more in another e-mail so that I don't overload your mail server. Martin, It's been a couple of months since we returned from Europe. Several times since our return, Melody and I have seen TV programs (including "The Longest Day") or newspaper articles on the Normandy campaign, William the Conqueror,or the Normandy region in general. Looking at the pictures or reading the description allows us to relive our time with you. We were so lucky to have been able to experience the region first-hand. Thanks for giving us the opportunity. Hi friend Martin - Thanks for your E-Mail. We went on to Southampton and Princess put us up for the night. Thanks so much for your help. We had a fabulous time with you and can only look forward to the next trip. Please give us our best to Diana and Kit. 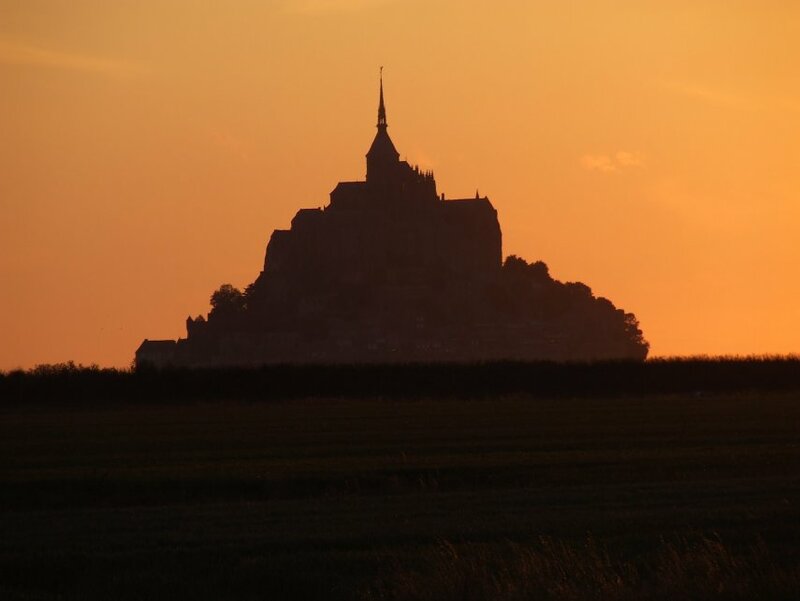 ...."I can't tell you how much we enjoyed our stay in Normandy. 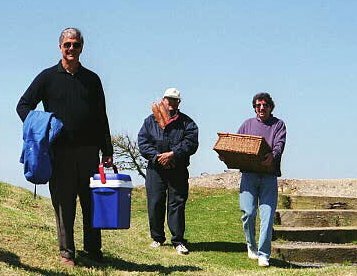 The places we saw, the picnics, the country side and having you as our personal guide. I don't know how many times after we left you one of us said where is Martin when we need him! Staying in Kit and Diana's Bed and Breakfast was delightful. I think you saved all of us alot of confusion and grief. Can you imagine us just trying to figure out how to get where we were going, much less where to go. We feel we really do know the Normandy region of France. Thanks again for a very special vacation. If you need any recommendations please let us know. We hope to hear from you and hope you will come to San Diego sometime". "Just a few words to let you know how much we enjoyed and appreciated all your efforts to make out tour of Normandy so memorable. Everyone has commented on several occasions how we were spoiled by your personal touch. This was especially true when we were later on a bus along with 40 other gawking tourists. Please feel free to use us as references should you wish. Please stay in touch as we will also do." 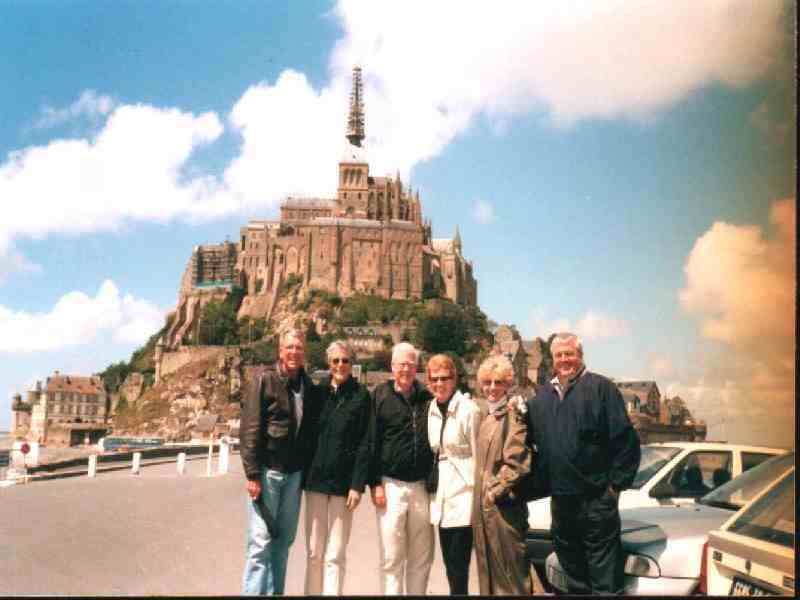 "Hi: Normandy was definitely the highlight of our trip, thanks to you, and we all feel so fortunate that we found you!! Maybe you could work up a similar tour of the English countryside. If you ever do, let us know. Take care, Martin, and good luck with your wonderful ventures"
As we look back, we are amazed at how much we saw and did (despite Kris, Sarah, and me missing a day) in such a short time. You are to be commended on running a very organized, but still flexible, trip through a beautiful and interesting part of the world. We got home yesterday from our trip to England and the continent all of which was a great success with lovely weather through out. 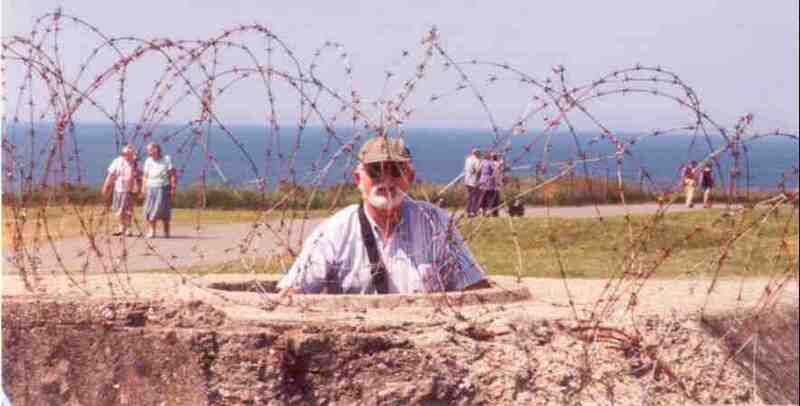 I have to tell you we really enjoyed our trip around Normandy with you. It was the greatest fun and you looked after us so well. 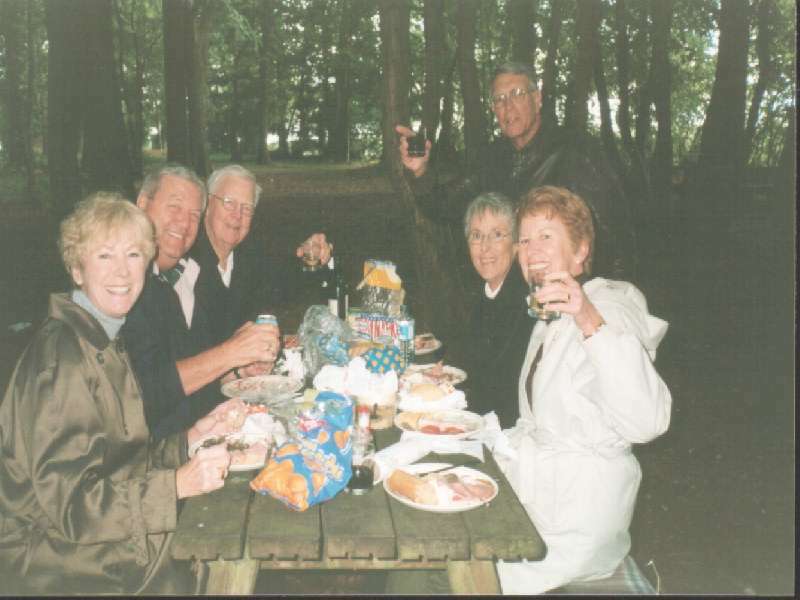 The picnic spots you found were fabulous and your knowledge of the area and events made it very special. We have sung your praises everywhere and I hope some of our friends will contact you. Naturally I will expect huge commissions !!. It was also particularly good to stay with the Wordsworths whom of course we found charming. It was overall a superb few days. We can't thank you enough for the ABSOLUTELY WONDERFUL tour of Normandy. Our D-Day experience was everything that we hoped for, especially Dad. He is anxious to look at that video that I so annoyed everyone with, but it will provide lots of memories. You put up with all of our wants and desires and quirks, and the trip was great. I am continuing to pursue the travel business and I have your cards. I will promote you whenever I can! Jim and I cannot stop talking about what a great time we had on your tour. So far three people are interested in joining you next year. . .we're still searching for the rich, smart, pretty girl to send along as well (we'll keep you posted). Thanks again for showing us Normandy. We learned so much and had so much fun doing it! Hope you enjoyed your week off. We miss Simone's Calvados. . . .
.......the holiday was perfect. Seung Po enjoyed it so much, he keeps telling his patients about it . They noticed how sunburnt he looked, so they couldn't help asking him about it! ................Thank you again for a wonderful week, good luck, and keep in touch. ......Any description of how we felt about our tour of Normandy seems inadequate--suffice to say we thoroughly enjoyed ourselves. Meeting you, as well as Diana and Christopher, was such a treat. The entire trip was a wonderful experience that we will always treasure. Thank you for such great fun. I do want to thank you for a really memorable holiday, so interesting and superbly executed by yourself. I keep remembering and thinking of all the places you took us to and wishing I was there again. I am hoping my appreciation of the holiday, when folk enquire about it, will bring you more business. I will send Paul and Chris an e-mail, they were so good in making the holiday comfortable and enjoyable. You have got an excellent team there. Thankyou again for a super time , Utter perfection and after all my trials and tribulations of the past years it was everything I needed and more. ....... we both agreed that the time spent with you in Normandy was the highlight of our (European) trip. The entire trip brought history alive but since Normandy and WW II are a part of our personal history it was especially meaningful to visit the area. You were a magnificent guide and we feel you went out of your way to make our Normandy experience a memorable one. We will certainly recommend you highly to Shane and his partners in the travel agency as well as to our acquaintances. Just to say again, thank you for a great week last week. We all enjoyed the holiday and saw so much, thanks to you. If you do decide to create a non-battlefield tour you have at least four customers already waiting. We so enjoyed our week with you in Normandy. You did a fantastic job of helping us understand what we were seeing. Thank you. Mum & Dad very much enjoyed the time they spent in Normandy and with you. They said it was really very interesting and that you were exceptional. 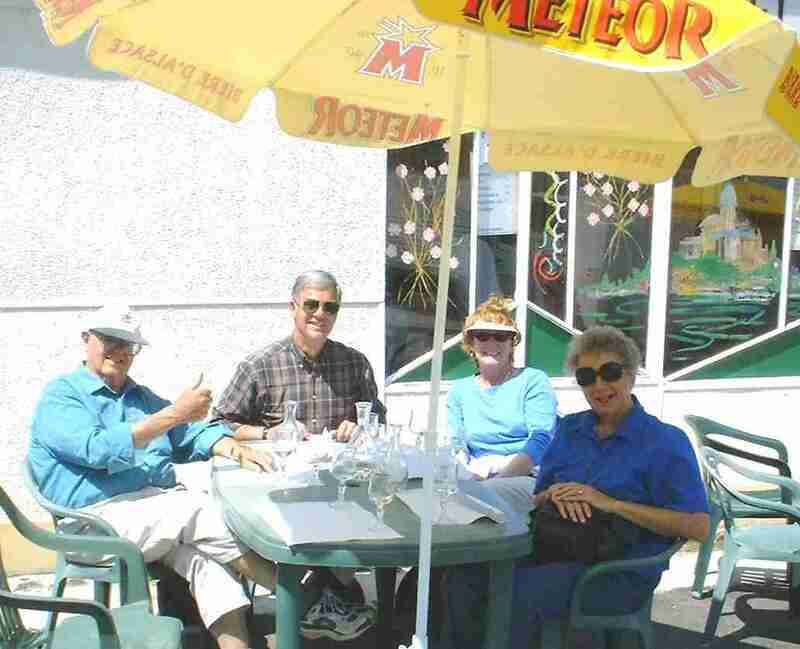 They were very impressed with the B&B in Normandy and the restaurants you took them to. We have all looked through the photos and they were obviously listening to you as all the photos had a story attached to them. All your organisation and planning was wonderful. I know they have gone back to Perth raving about the tour. Thank you for making it so very special for them. I asked Dad if he would do it again and he said he would go every year if he could! 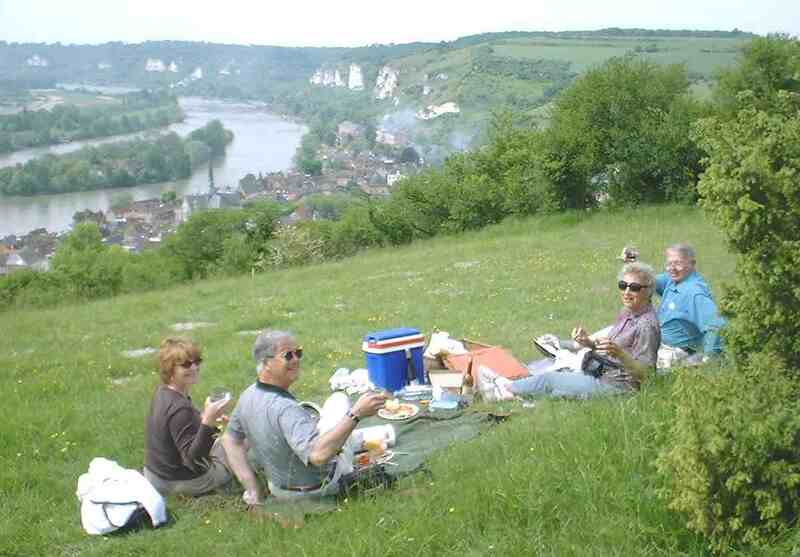 Click Here for the write-up / 'tour review' on Normandy Safaris in ITN (International Travel News). If you would like to contact any of our Normandy Safaris clients and privately ask for their guidance or comments please e-mail Info@NormandySafaris.co.uk asking for a referral and we shall be happy to forward a couple of e-mail addresses to you.